• Gold Medal in Teams in Malta Junior & Cadet Open in 2014. • Silver Medal in Doubles in Malta Junior & Cadet Open in 2014. 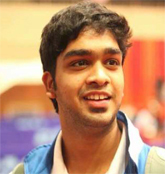 • Participated in Egypt Junior and Cadet Open in 2013. • Gold Medal in 55th National School Games 2009-10 held by School Games Federation of India held at Gujarat. • Gold Medal in 56th National School Games 2010-11 held by School Games Federation of India held at Maharashtra. • Gold Medal in 57th National School Games 2011-12 held by School Games Federation of India held at Gujarat. • Silver Medal in 58th National School Games 2012-13 held by School Games Federation of India held in Delhi. • Silver Medal in Teams in the 75th Junior & Youth National T.T Championship 2013 held in Assam. • Bronze Medal in Teams in the 70th Junior & Youth National T.T Championship 2008 held in Andhra Pradesh. 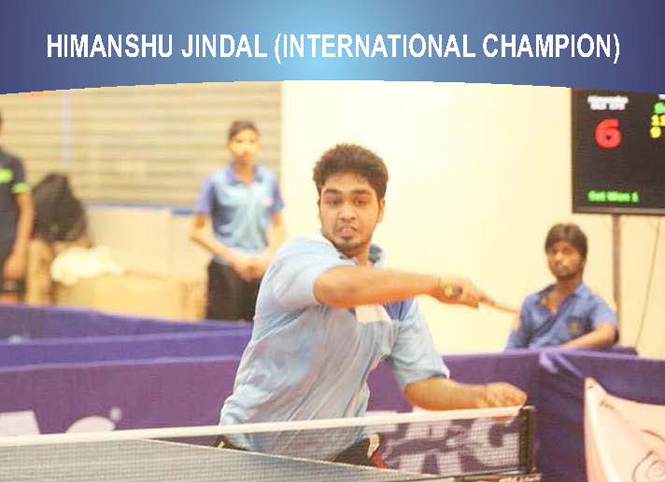 • Bronze Medal in doubles in th 72th Junior & Youth National T.T Championship 2010 held in Madhya Pradesh. • Bronze Medal in Teams in the 74th Junior & Youth National T.T Championship 2012 held in Indore, Madhya Pradesh. • Particiapted in CBSE Nationals 2010-2011 held in Indore, Madhya Pradesh. • Participated in CBSE Nationals 2012-2013 held in Solan, Himachal Pradesh. • Participated in CBSE Nationals 2013-2014 held in Durgapur, West Bengal. • Gold Medal in Delhi Station Championship in Sub-Junior Boys in 2010. • Gold Medal in CBSE Clusters in U-14 Boys Singles in 2011. • Gold Medali n Delhi State Championship in Junior Boys in 2012. • Gold Medal in CBSE Clusters in U-16 Boys Singles in 2013. • Silver Medal in Delhi State Ranking T.T Championship in Junior Boys in 2012. • Silver Medal in Delhi State Championship in Youth Boys in 2012. • Silver Medal in CBSE Clusters in U-16 Boys Singles in 2012. • Silver Medalin STIGADelhi State T.T Championship in Junior Boys in 2013. • Silver Medalin Inter Zonal in U-17 Boys in 2013. • Silver Medal in CBSE Clusters in U-16 boys Team in 2013. • Bronze Medal in CBSE Clusters in U-14 Boys Team in 2011. • Bronze Medal in CBSE Clusters in U-17 Boys in 2012. • Bronze Medal in Inter Zonal in U-17 Boys in 2012. • Bronze Medali in 1st Delhi State Ranking T.T Championship in Junior Boys in 2013. • Bronze Medal in 1st Delhi State Ranking T.T Championship in Youth Boys in 2013.